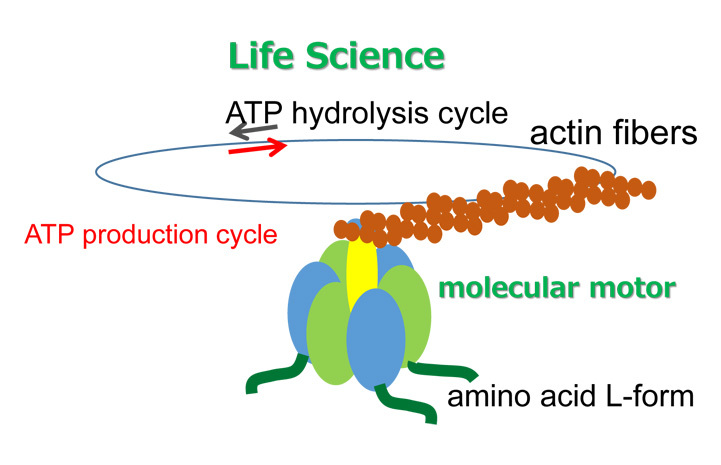 I was born in Osaka, and was awarded Ph.D degree of Applied Physics from University of Tokyo. I love to take photos, read books and play a guitar. Lovely 10 cats are living with my family and they always relax us very well. In my school days, I found myself that ultrafast lasers have the potential to explore novel innovative technologies, and decided to contribute to a research field of photonics and optical sciences. To date, photonics and optical sciences have been intensely investigated in a variety of fields, such as physics, chemistry, biology, and medical technology. We have no doubt that they have provided us various research opportunities of next generation material sciences. I hope that many young researchers join us to pioneer innovative material sciences based on 'chiral photonics'. 'Chirality' indicates that the object is not identical with its mirror image. 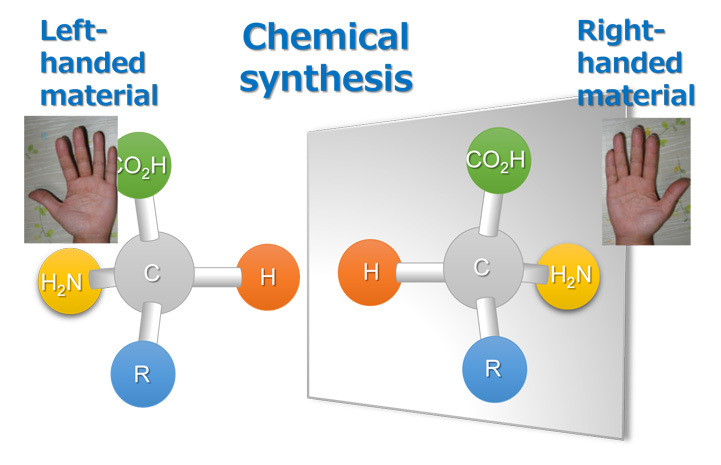 A chiral object is distinguishable from (cannot be superposed onto) its mirror image, and it exhibits different chemical (optical) properties from its mirror image. 'Human hands' are one of the most familiar chiral objects. Chemists have been eager to look for the ultimate methods to synthesize selectively only right- (or left-) handed chemical compositions. Biologists have spent their efforts to solve the mystery, i.e., 'Why does the handedness exist in life?' 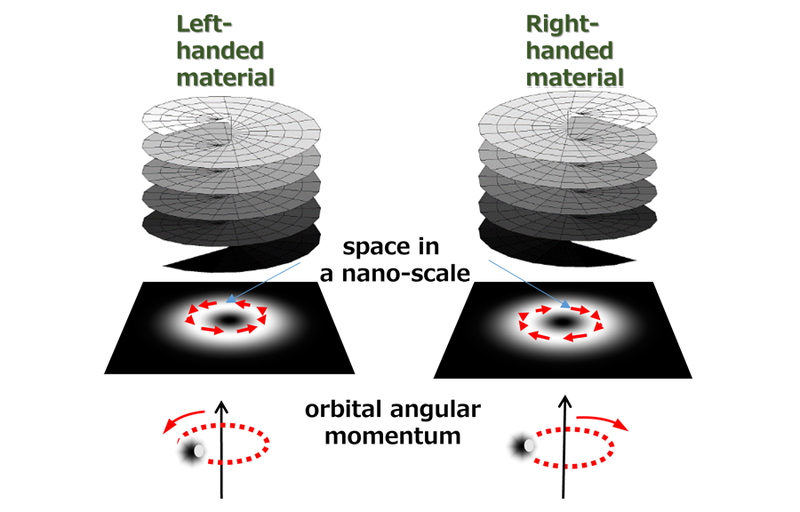 Thus, chirality (handedness) is universal in natural science, and it plays an important role in a variety of fields. We aim to develop innovative materials and devices with high energy and cost efficiencies. Optical vortices termed chiral lights exhibit a 'chirality (handedness)' determined by the direction of their helical wavefronts. To date, they have been widely investigated in a variety of fields, such as optical manipulation, super-resolution microscopes beyond the diffraction limit, space-division multiplexing optical telecommunication, and quantum information. 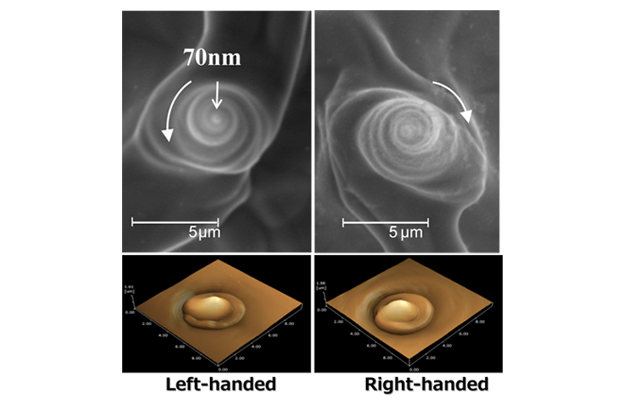 In recent years, we discovered that optical vortices 'twist' materials such as a metal, semiconductor, and organic materials to create 'chiral' nano-structures owing to helical wavefront transfer effects. Such material sciences and technologies based on chiral lights is termed 'Chiral Photonics'. Chiral nano-structures creation based on Chiral Photonics will have potential to pioneer new technologies, including chiral plasmonics, chiral metasurfaces for use in the terahertz region, nanoscale chiral chemical reactors, chiral selective imagers, and organic photovoltaic devices. Optical vortices should also bring a breakthrough to asymmetric synthesis, and may further give the high impact to biology so as to reveal the origin of homochirality. 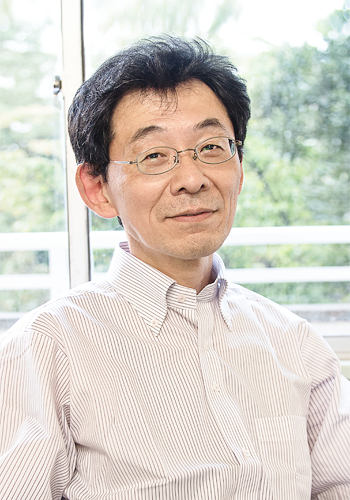 Faculty members in Molecular Chirality Research Center of Chiba University, showing excellent activities and worldwide reputations in the field of materials science, have a united effort to establish a core of excellence in chiral materials science so as to pioneer next generation chiral material technologies and innovations. We always welcome you to join us! Optical vortices carry an annular intensity profile and an orbital angular momentum arising from their helical wavefront. Optical vortex illumination enable us to force micro-scale particles to rotate in orbit.